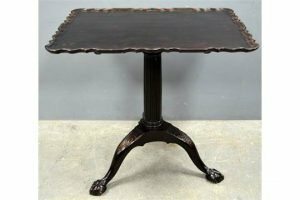 An early 19th century Irish rectangular pie crust tilt top silver table, on turned and fluted centre column and tripod base, with ball and claw feet. 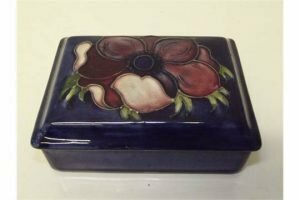 A Moorcroft pottery lidded box of rectangular form, tube lined in the Anemone pattern against a blue ground, impressed marks and bearing “Potters to the Late Queen Mary” label to lid. 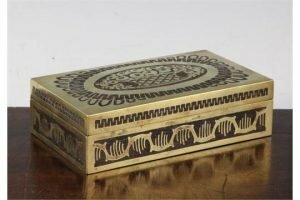 An Erhard & Sohne brass and rosewood rectangular cigarette box, the lid decorated with a central basket of flowers. 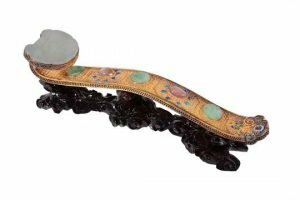 A Chinese gilt-metal jade and quartz mounted ruyi sceptre, late 20th century, with some cloisonné enamel details. 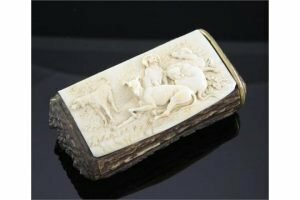 A late 19th century Continental stag horn and ivory snuff box, the rectangular lid relief carved with hunting dogs. 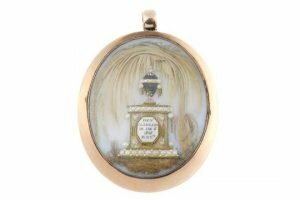 A George III gold memorial pendant of oval-shape outline, the opalescent glass panel with applied hair and split pearl tomb, to the woven hair panel reverse. 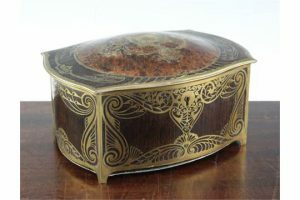 An Erhard & Sohne rosewood and brass inlaid secessionist table casket, of serpentine form. 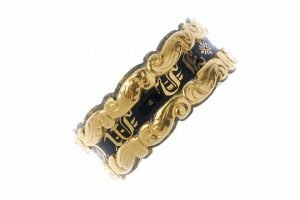 An early 19th century 18ct gold memorial ring, designed as a central band of text with black enamel surround, reading ‘In Memory Of’, to the scrolling border and personalised dedication within. Hallmark for London, 1835. 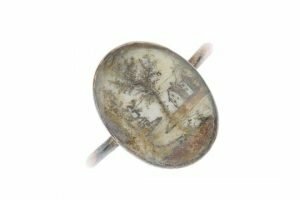 A George III ring, the oval-shape glazed picture panel depicting a scene with windmill, tree and houses, to the memorial inscription on the reverse and plain narrow band. 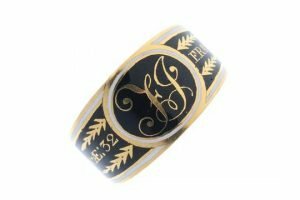 A George III 18ct gold memorial ring, the tapered band with black and white enamel to the monogram and personal memorial inscription. Hallmark for London, 1798. 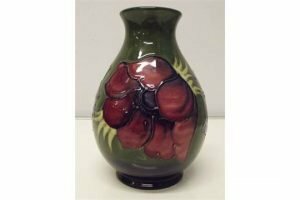 A Moorcroft pottery footed vase of baluster form with flared rim, tube lined in the Anemone pattern against a fading green ground. 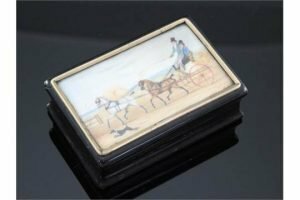 A 19th century rectangular tortoiseshell snuff box, painted with a coaching scene to the lid. 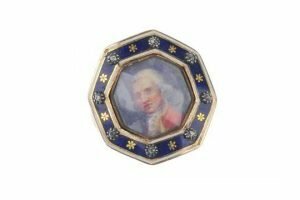 A George III Scottish enamel memorial ring, the octagonal blue and white enamel border, with floral motifs and old-cut diamonds to the painted panel, depicting an image of John Wetherall. 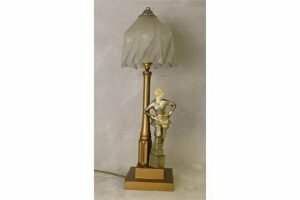 An art deco table lamp in the form of a chryselephantine figure of a girl under a lamp post, Vienna, 1920s – 1930s. 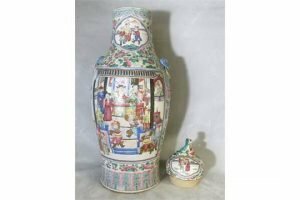 A tall 19th century Canton vase and cover, having all over decoration with scenes of warriors fighting, lid mounted with dog of foe. 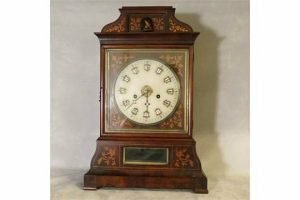 A 19th century continental mahogany cased marquetry inlaid bracket clock with gilt dial. 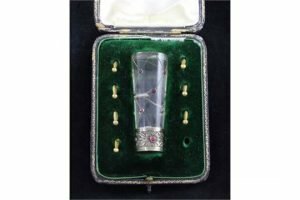 An early 20th century French silver mounted glass parasol handle, inlaid with ruby coloured paste stones, cased with seven brass parasol tips, the case marked for Wilson & Gill, The Goldsmiths, London. 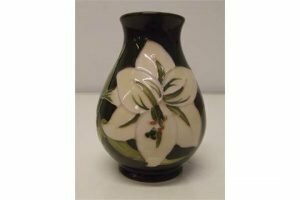 A Moorcroft pottery footed bud vase of baluster form, tube lined in the Bermudan Lily pattern against a green ground, impressed marks. 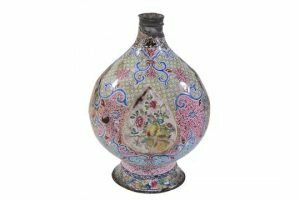 An 18th century Chinese enamel flask, the flattened ovoid body decorated with two tear shaped panels of fruit and flowers, on a complex floral and diaper ground. 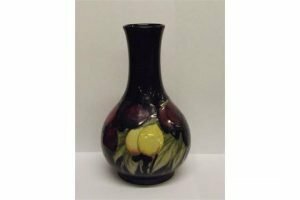 A Moorcroft pottery footed vase of baluster form, tube lined in the Plum Wisteria pattern, impressed marks and signed in blue.